What is the potential of distributed generation? What is the potential of distributed generation with storage and demand response? Can nuclear make a substantial near-term contribution? Can we really decouple living standards from energy consumption? Can Tesla save the world? What are the risks related to wind power investment? What are the risks related to solar power investment? What are the risks related to nuclear power investment? What are the risks related to gas power plant investment? What are the risks related to coal power plant investment? When talking about “detox”, most people would think of some or other miracle diet product they saw on TV. In truth, however, detox is something that our bodies do automatically each and every day. If this process is interrupted for any reason, we die within a day or two. This is actually what happens when someone dies of dehydration. When the body does not have water with which to transport toxins out of the body, all of those toxins heap up and we are poisoned from the inside out. The process of living produces a rather surprising amount of wastes and effectively getting rid of these toxins is one of the most important aspects of health. If these wastes are allowed to gradually build up over time, they can very easily result in serious organ damage and degenerative disease. From the previous paragraph, it is fairly obvious that the most important detox agent is water. Personally, I drink a glass or two every morning right after I get up (to replace all the water used in the detox process occurring in the night) and always keep a bottle of water nearby so that I can hydrate throughout the day. Water really is the most essential thing that we ever ingest, especially in our modern culture with all of its toxic foods. But still, you should not go overboard. People have died from water overdoses and you should not drink more than around 4 liters of water per day. Another very effective detox agent is herbal tea. Aside from the obvious benefits of the water with which the tea is made, herbal tea is also also a great source of antioxidants. These guys protect the body from dangerous free radicals – unstable molecules that are generated in the process of getting the energy out of food. Antioxidants in herbal tea neutralize these dangerous free radicals so that they can be ejected from the body without doing any damage to your cells. 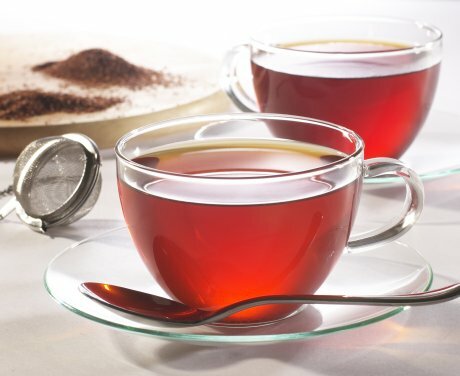 I drink one cup of a very tasty herbal tea called “Rooibos” every morning and every evening to make sure that my body stays as toxin-free as possible. So, trade your coffee for herbal tea and buy a water bottle to decorate your office desk. Your body will love you for it. Water with slice of lemon or other citrus is a great way to get a little Vit-C at the same time. 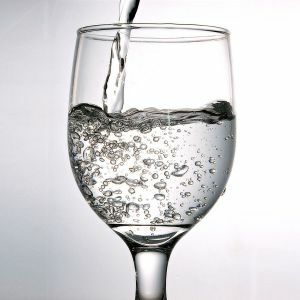 I’ve also heard that drinking lots of water is a good way to moisturizer your skin. True, it also adds some taste which can make one drink more water. Yes, I have heard about many health benefits of water and I am sure that many more will still be discovered. Actually, nutritional science is a pretty funny discipline – finding smart sounding explanations for why we should eat a balanced nutrient rich diet and drink lots of water – something that we have known for generations. But then again, the vast majority of people still seem to totally ignore all of this new science just like they ignored the experiential wisdom of previous generations.